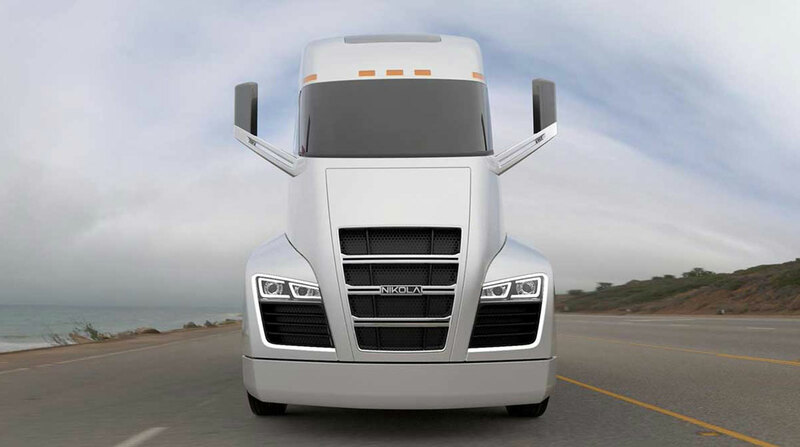 Hydrogen-electric truck maker Nikola Motor Co. announced it raised during the first week of August $100 million of a planned $200 million in C-round funding as it accelerates the scale of its operations. “The investors have asked to stay confidential until they announce their investment. We anticipate they will announce their investments in the following months,” Nikola Founder and CEO Trevor Milton told Transport Topics. The funding will go toward preparing the company’s research and development facility and completing all the legal requirements and testing needed to road certify the heavy-duty truck, he said. “It will also go toward building the pre-production units, which each can cost millions of dollars to build,” Milton said. Milton said accomplishments were piling up as the company prepares to launch, as previously scheduled, a hydrogen-electric Class 8 truck in 2019 for field tests. “Nikola’s business model has been vetted, and the investment world is taking notice. So far this year, we have kicked off plans to build the largest hydrogen network in the world with NEL, secured a massive 800-truck order commitment from Anheuser-Busch, developed the most energy-dense battery system on the market with almost 400 watt hours per liter, engineered a 240 kW fuel cell, kicked off electric-vehicle stability controls and electric ABS with Wabco, designed a thermo-management and HVAC system with Mahle, finalized the most advanced Class 8 independent suspension on the market with Meritor, relocated our company to Arizona to build our new 150,000-square-foot headquarters and now closed on $100 million,” Milton said. The company soon will announce a 2019 event in Phoenix, where customers, suppliers, media and industry insiders will be able to see the latest Nikola products in action, he added. The zero-emissions trucks — which will be able to travel between 500 and 1,200 miles and be refilled within 20 minutes — will be part of fleets beginning in 2020 and in full production by 2021, according to the Phoenix-based company. By 2028, Nikola is planning on having more than 700 hydrogen stations across the United States and Canada with the first 14 stations up and running by 2021. To date, Nikola has nearly $11 billion in pre-order reservations. Milton explained each truck Nikola sells involves a lease of about $1 per mile. Each company commits to 1 million miles on the lease program, per truck — so each truck-revenue is around $1 million. He expects it will take seven years to scale up to producing 35,000 trucks a year — which, in 2017 terms, would be about half of what Class 8 market leader Freightliner sold last year, and ahead of the sales every other truck maker posted in that same 12-month period. The news of Nikola’s latest funding came the same day as Tesla Inc. CEO Elon Musk announced he was considering taking his publicly traded company private. It makes battery-electric automobiles and has announced plans for a similar Class 8 truck. Musk said a final decision had not been made.